The benefits of jiu jitsu (jitz, bjj, gjj) reaches a different level than most martial arts in my opinion. The benefits cover a wider range of practical and functional use for everyday life. Jiu Jitsu’s common practices brings out 100% effort from its practitioners at every session. Jiu jitsu is for everybody and here’s why. One of the biggest benefits of jiu jitsu is comradery. You will meet people from all walks of life. Most will become your closest friends. The comradery is great for everyone, we all need each other to grow, for support, and to be tested. This is especially important for people that have PTSD (Post-Traumatic Stress Disorder). Check out the video below. Jiu Jitsu as a competitive sport is fun for all ages, there are competitors ranging from kids to senior citizens. There is always Jiu Jitsu tournaments in almost every city around the world. There are also big prestigious tournaments were people from all over the world attend making it fun to travel and meet new people. Jiu Jitsu teaches kids hard work, problem solving, patience, and etc. Jiu jitsu will install these qualities into you kids improving their character and work ethic at a very young age. If you prefer boxing, kickboxing, or conceal carry as your primary self defense, Jiu Jitsu will be a necessary supplement to your skill sets. If the fight ever ends up on the ground, which most do, some knowledge of Jiu Jitsu will be necessary to get back up on your feet, where you feel most comfortable in protecting yourself. For self defense, jiu jitsu alone can help you overcome bigger, faster, and stronger attackers through the use of leverage and space management. Being extremely close to your attacker smothers a lot of their striking options, which lowers the risk of getting hit. Jiu Jitsu will teach you how to control someone bigger and stronger with the least amount of effort, which is also used for finishing or disabling your attacker. The physical benefits of jiu jitsu are very rewarding for your overall health. Although jiu jitsu doesn’t require much strength, you will be working every part of your body, developing muscle endurance, grip strength, cardio, flexibility, balance, and muscular strength. 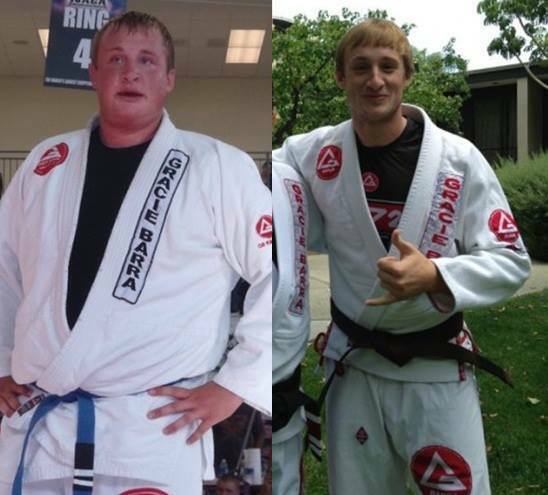 A huge benefit of jiu jitsu that changes many lives are the mental benefits. Most consider jiu jitsu as therapy, as a legitimate escape that effectively relieves stress and improves psyche. One thing i found that jiu jitsu does for people better than other martial arts is humility. Practitioners develop a strong self-awareness from constant and unavoidable trial and error. Consistently re-calibrating a healthy self-perception of confidence and humility. Jiu Jitsu Instructors hardly have a high and might attitude. They act more like your friends and open minded to anything a student might teach them. Other mental benefits of jiu jitsu is investing in focus, patience , attention to detail, and persistence. In fact, all these mental qualities are not only benefits of jiu jitsu but are also requirements to obtaining your black belt. Jiu Jitsu takes a lot of hard work. Only about 1% of jiu jitsu practitioners obtain a black belt. check out this thread for more info. If you do decide to join jiu jitsu without the interest of getting your black belt, here are some traits of each other belt you can obtain and accomplish. Blue Belt – can effectively protect yourself in a self defense situation. Should be able to control and dominate an average person no matter the weight, size, and strength. Purple belt – A lot of UFC Fighters fall into this category. Jiu jitsu is adequate enough to supplement their kickboxing or wrestling. But not enough to make jiu jitsu a specialization in the UFC. Brown belt – The minimal requirement to be considered a Jiu Jitsu specialist in MMA. Capable of defeating black black belts more often in sport jiu jitsu.